The rate at which children learn language varies substantially from child to child. Some children show rapid vocabulary growth before they go to school, while others learn so slowly that they can end up six months to a year behind their peers. Surely this doesn’t really matter, does it? We all learn to speak well enough eventually, so we could be forgiven for thinking that “late talkers” will simply catch up in the end. Some of these children will catch up, reaching a good level of language proficiency by the time that they start school. But others will begin school at a considerable disadvantage, entering the education system without the ability to communicate effectively. These children typically demonstrate slower language growth than their more advantaged counterparts. But most importantly, research has found that this gap widens with age. Oral skills are a precursor to literacy, so it’s not exactly shocking that children at a linguistic disadvantage will have immediate problems with reading and writing in the classroom. What is probably less well known is that these problems can be long lasting – so much so that they negatively and profoundly affect future academic success. It’s no surprise then, that this growing disparity between certain groups of children has prompted researchers to identify the factors that affect language development and has inspired interventions aimed at closing the achievement gap. My recent research has worked to outline some of these. An important predictor of language development is the amount of language children hear. We know that children who are exposed to more language learn more words more quickly than children who hear fewer words. But it’s not enough just to bombard children with a barrage of words: the quality of the speech that they hear matters too. Children who hear language that is diverse, complex, and is directed towards them specifically (child-directed speech), often have a larger vocabulary size and a faster rate of vocabulary growth. The most consistent finding in why some children are exposed to more speech than others is that it is strongly related to parents' socioeconomic status. Researchers have also found correlations between maternal education, family income, and occupational prestige. A landmark 1995 study by American researchers Betty Hart and Todd Risley found that by the age of 36 months, children from professional families had heard almost 30m more words than children from low-income households. Not only did these children have larger vocabularies, but they also performed better in areas of vocabulary, grammar, and reading comprehension at nine and ten years old. These findings and others have shown that a child’s vocabulary size in their early years is a strong indicator of how well they will perform at school later on. But it isn’t all bad news. By having accurate knowledge about their child’s language development, parents have the power to make a real difference. 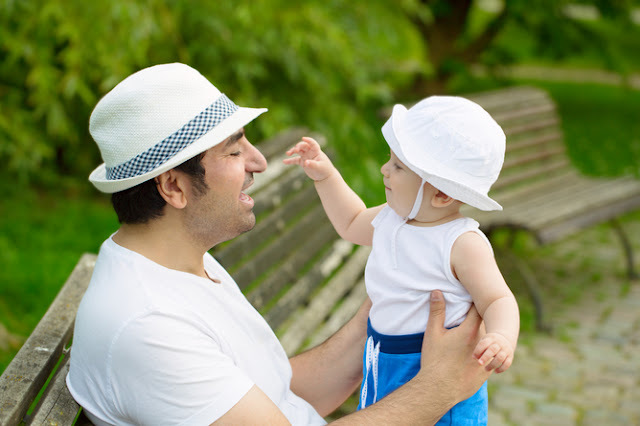 Designing and implementing interventions to educate parents about the value of talking to their children during their early years can have dramatic effects on development. For instance, when parents are taught to increase the frequency of shared book-reading – where they read out loud along with their child – and when they are trained to adopt certain reading techniques, the vocabulary development of their children has been shown to improve. More research on how other factors influence language development is still needed. While interventions have concentrated on enhancing the early linguistic environment, they haven’t really considered that language learning is also determined by how each child responds to, and analyses, their input. Some children seem to do this differently from others and so researchers at the International Centre for Language and Communicative Development at the University of Liverpool are carrying out research to look at why this might be. One aim is to explore questions such as how differences in the skills that children use to learn language interact with the environment to enable them to communicate effectively. For example, it looks like how quickly children process information has a big effect on how quickly they learn words. But we don’t yet know why some children process information quicker than others. More knowledge of exactly how children learn language will enable us to arm parents and early years teachers with more effective techniques to promote language. Current initiatives target those children with the poorest language skills so that they enter school ready to learn, but these methods need to be realistic. Parents often juggle a number of responsibilities, and incorporating certain practices won’t work for everyone. But by simply interacting with and speaking to their children even during routine activities (like nappy-changing, getting dressed, and meal-times), parents can provide the perfect opportunity for word learning by providing a positive language-learning environment. Teaching parents the importance of implementing small changes like this is a step in the right direction, but there’s still some way to go if we want to narrow the achievement gap. We don’t know exactly why differences between children and their home environment can have such a drastic effect on how they learn to talk. But what is clear is that talking to your baby matters.